ViMS© platform enable the automation and allow to speed up the control procedures for the vehicles on the road, particularly for the insurance, driving permissions and motor checkup compliance. Moreover, ViMS© can be integrated with any law enforcement database of stolen cars or plate database. The goal of the solution is to reduce the operations physically carried out by the personnel and to speed up the correlation between the different data collected. The solution allows knowing in real time the compliance of vehicles passing by even during rush hours and the option to store the findings for a post analysis in the back office. The solution immediately notify the officer in place in case of a violation and which is the vehicle responsible of it. 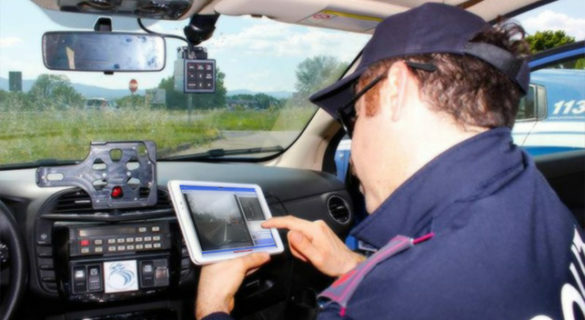 ViMSPlates can be portable and be used as a mobile APP during routine roadways check or fixed, for example integrated with TLZ (traffic limited zones) cameras. Improves the ability of law enforcement to check vehicles and to identify irregularities, contributing to the reduction of uninsured or uncompliant with a motor check-up vehicle, and it supports the detection of stolen vehicles and the arrest of those responsible. It enrich the TLZ infrastructures and it represents a valid support to the local police’s road-patrol functions.